If you were one of the twelve people passionately awaiting the integration of Cortana with Alexa and vice versa, then I have some news for you. Both Amazon and Microsoft have missed the key “later this year” deadline announced back in August 2017. The original announcement was a splashy affair, with Microsoft CEO Satya Nadella and Amazon CEO Jeff Bezos taking the time to be interviewed together by the New York Times. The titans of the two Seattle-based companies weren’t quite arm in arm, but they seemed friendly and espoused the same kind of ideas for wide-scale adoption of their respective digital assistants. “I want them to have access to as many of those A.I.s as possible,” Bezos told the New York Times. 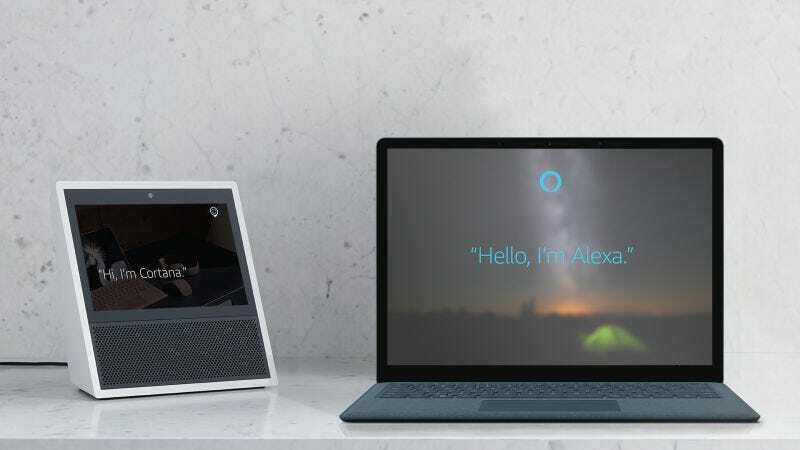 “Ensuring Cortana is available for our customers everywhere and across any device is a key priority for us,” Nadella said in an Amazon press release the same day. These men, and the enormous companies behind them, were committed, damn it. Yet, as Thurrott noted earlier today, the two promised results, however tricky the integration may be, by the end of 2017, and we are now day two into 2018. So where’s the merging of AI, Jeff my man? Why is Cortana not on my Echo, Satya buddy? Amazon’s original announcement left some wiggle room open for the final release, stating in August 2017 that “Alexa and Cortana will begin talking to each other later this year.” Microsoft’s announcement was more exact, “We look forward to having Alexa on Cortana-enabled devices and Cortana on Alexa-enabled devices later this year,” the company stated. An Amazon spokesperson told Gizmodo this evening, “we’re working on it and expect to begin rolling it out soon.” We’ve reached out to Microsoft for more details and will update this story if we hear back. 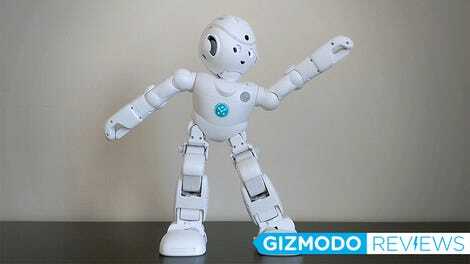 If you have any idea why the promised integration still hasn’t come to fruition, shoot me an email: alex.cranz@gizmodo.com.